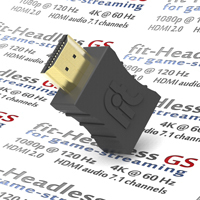 fit-Headless GS simplifies streaming games and multimedia from a headless gaming PC to the living room with high refresh rate and HDMI audio. 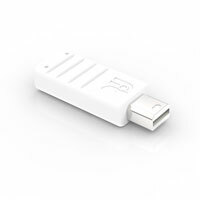 It also saves the need to connect a display to a PC when used with a VR headset. 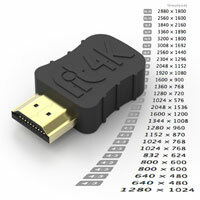 What makes fit-Headless GS better than fit-Headless 4K for game streaming and VR? 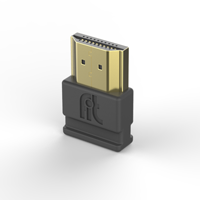 fit-Headless GS identifies itself to the graphics card as a connected HDMI 2.0 monitor with high-resolution and high refresh rate, and with audio capabilities. This allows the graphics card to operate at its full graphics rendering and audio processing capabilities and then encode and stream the resulting media over the network. 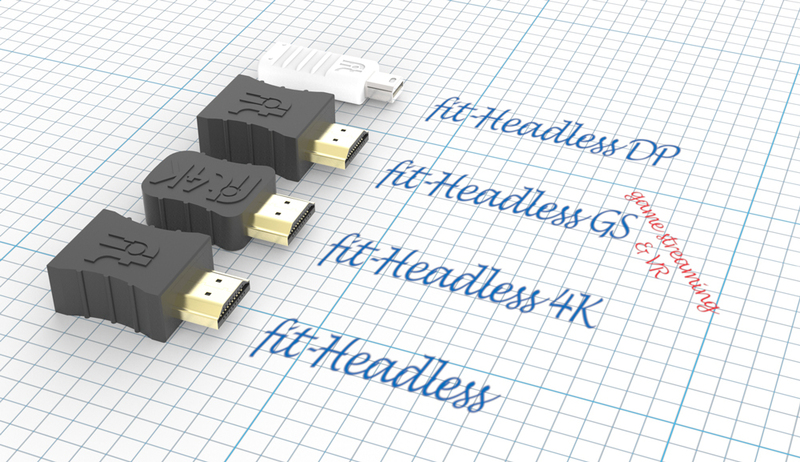 Four models of fit-Headless are available – fit-Headless (1080p), fit-Headless 4K, fit-Headless GS for game-streaming and VR and fit-Headless DP with native DisplayPort.